- Will also be livestreamed. - Follow link for podcast. See also related Medium story. - Note: A recent special issue of JEMS focused on "Aspiration, Desire and the Drivers of Migration." 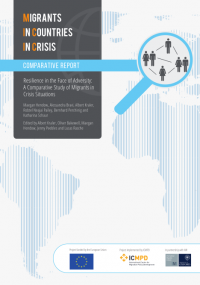 - Theme issue on "Migration and Displacement." - Follow link for report and executive summary.